Buying a car is one of the biggest investments you’ll make, second only to buying a home. While paying cash would be ideal, the reality is that most people need a loan to pay for their car, whether it’s new or used. As something that accrues interest as you pay back over time, it’s important to come prepared before taking out a car loan. Before you start your car buying process, there are a few important things that you should know about car loans. Your credit score is the single most important factor in determining what type of loan you will be able to get from a lender. Whether you’re going through a bank, an auto loan dealer or the dealership itself, the rate will be dependent on it. Note that not all lenders use, or look at, the same scoring system: “Different lenders have different criteria so the minimum score needed to qualify will vary depending on which company is providing the financing,” according to Ask Experian. The various scores include FICO Auto Score 8 and Vantage Score 3.0. Know what score the lenders you’re interested in care about and use that to determine which reports you request. If you don’t know your credit score, you can access a copy of your credit report from the three main reporting bureaus for free. All consumers are allowed one copy per year from annualcreditreport.com. Your credit score will slightly decrease when lenders check your credit history, but keeping your application process within a 2-week period helps reduce the negative impact, according to credit experts at Auto.Loan — a secret most lenders won’t tell you. Why is this? The FICO scoring shopping period is 14 days so all inquiries made during that time will be considered as one, reducing the hit on your score. It’s always best to walk into the car dealership with a financing offer from a bank or lender in your hand. A pre-approved offer guarantees that you have a loan to cover the cost of the car you want. More importantly, it also gives you additional leverage: “With your lender-approved blank check or coupon in hand, you’re transformed into a ‘cash buyer,’ at the car lot, and you’re in a much stronger negotiating position,” explains Jeanne Lee and Philip Reed of NerdWallet. You can get pre-approved for a car loan from credit unions, banks, and online lenders. Before you get hung up on getting your car payment down to a specific amount, it’s important to understand the factors that go into setting your monthly car payment. The APR only has a small effect on the amount you pay each month. The more important factors include the total loan amount you need, whether you have a down payment or not, how much you’re putting down, and the loan term (the repayment time). Use an auto loan calculator to play with the numbers. You may be in a hurry to drive that car off the lot, but taking a day to run the numbers can save you thousands in the long run. 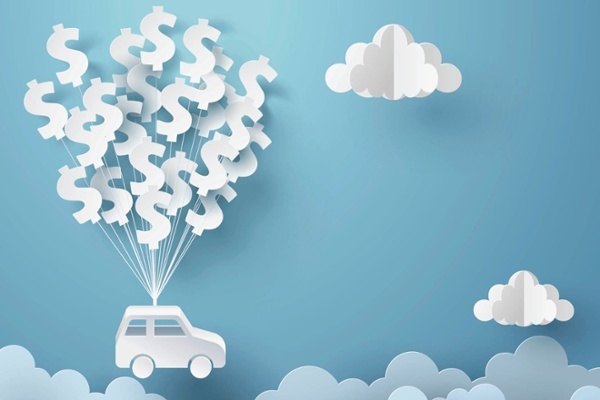 Sometimes dealership financing can appear to be a more attractive offer. Deals like 0% financing and large cash back rebates, which can ultimately reduce the total amount of your loan, may sound like the best option. Remember that most financing options are only available to the highest qualified buyers. If you have anything negative on your credit report, a low FICO score, or limited credit experience, you will likely not qualify for these specials. In either case, always shop around — never accept the first financing option offered to you — and don’t forget to do cost calculations before saying yes. Financing your new car is a great way to get the vehicle that you want and need without sacrificing. The process can be complicated so keep these tips in mind before saying yes to anything. When you do your research, get pre-approved, and run the math by yourself, you’ll walk away feeling good about the car and your financial situation. Jessica Thiefels has been writing for more than ten years and is currently a full-time blogger. She is also an ACE Certified Personal Trainer, NASM Certified Fitness Nutrition specialist, and the owner of her own personal training business, Honest Body Fitness. She’s using her experience from writing, editing, and marketing to help people get healthy and learn to love what their bodies can do. Follow her on Twitter, Facebook, and Instagram for health articles, new workouts and more.